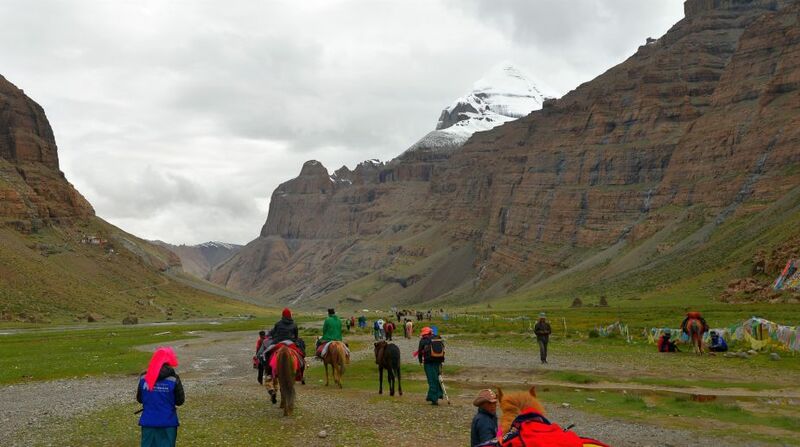 The annual Kailash-Mansarovar yatra through the Lipulekh Pass in Uttarakhand came to an end on Friday with the 33-member last batch arriving this morning. There were 34 members in the last batch. One pilgrim had taken ill at the Tibetan camp of Darchin and returned earlier, Kumaon Mandal Vikas Nigam (KMVN) Managing Director Dhiraj Garbiyal said. The batch will rest at the Gunji camp today. From there it would be airlifted to the base camp at Dharchula tomorrow as the trek route from Gunji to Mangti is disrupted, he said. The KMVN, headquartered in Nainital, is the nodal agency for the annual pilgrimage. The last batch is likely to reach New Delhi on September 11, KMVN sources said. This year’s yatra has broken all past records in terms of the number of pilgrims. A total of 919 pilgrims from more than 24 states undertook the pilgrimage through the pass this year after Chinese authorities denied permission to visit Kailash- Mansarovar via the Nathu La Pass in Sikkim in the wake of the Doklam stand-off, the KMVN MD said. Uttar Pradesh also showed a surprising increase in the number of pilgrims. A total of 112 pilgrims from the state visited these centres of faith after the UP government announced a grant of Rs 1 lakh to every yatri, he said. According to Nigam sources, six returning batches and three ongoing ones had to be airlifted as heavy rains and cloudbursts had on August 14 damaged the trek route. Helicopter services provided by state government to the pilgrims and villagers of the Vyas Valley were of great helpful in continuing the yatra this year, Garbiyal said.